A Companion or Caregiver from Absolute Care Staffing Health Agency will be assigned to visit you at home in your preferred schedules. We keep you company while your family members go to work or school. Apart from the companionship we provide, we also offer assistance with daily living activities. Please call Absolute Care Staffing Health Agency at 919-784-9218 to inquire about the availability of home health care programs in your area. 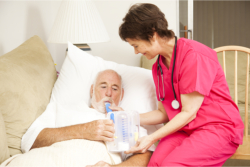 We look forward to being a trusted provider of professional health care staff in your home.